For fans of Chef's Table, Netflix and grill is the new Net​flix and chill. And with the premiere of the Emmy-nominated docu-series on February 17, season three looks like it will be more delicious than ever. The latest installment will feature world-renowned chefs Virgilio Martinez (Central), Tim Raue (Tim Raue), Ivan Orkin (Ivan Ramen), Vladimir Mukhin (White Rabbit), Nancy Silverton (Mozza) and Jeong Kwan as they give cameras an unfiltered look into their lives and how their experiences have shaped their award-winning cuisine. - Moose lip schi (Russian cabbage soup) is definitely a thing. Consider us intrigued. - Jeong Kwan, a buddhist nun, is an all-around badass. It will be interesting to see how her life philosophy has played a role in her cooking. 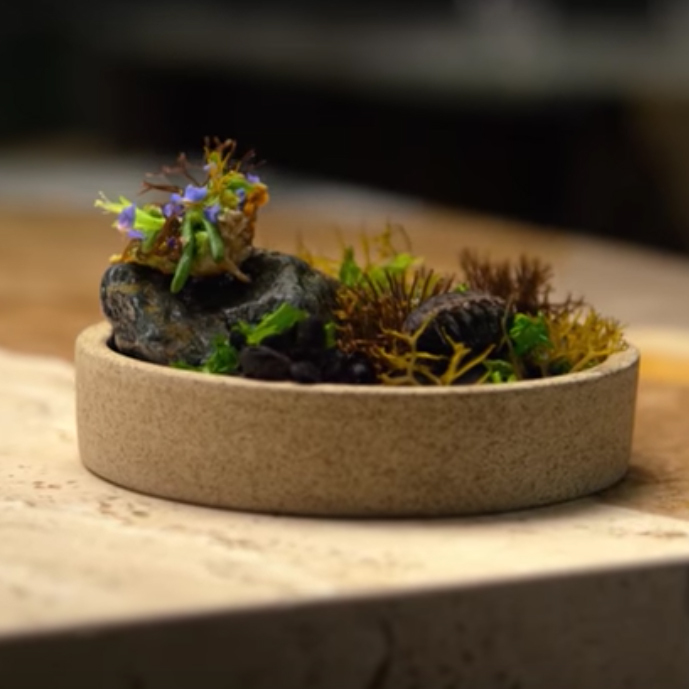 - Martinez's plated "ecosystem" looks like an edible terrarium. - Watching Nancy Silverton prepare food definitely has a calming effect.